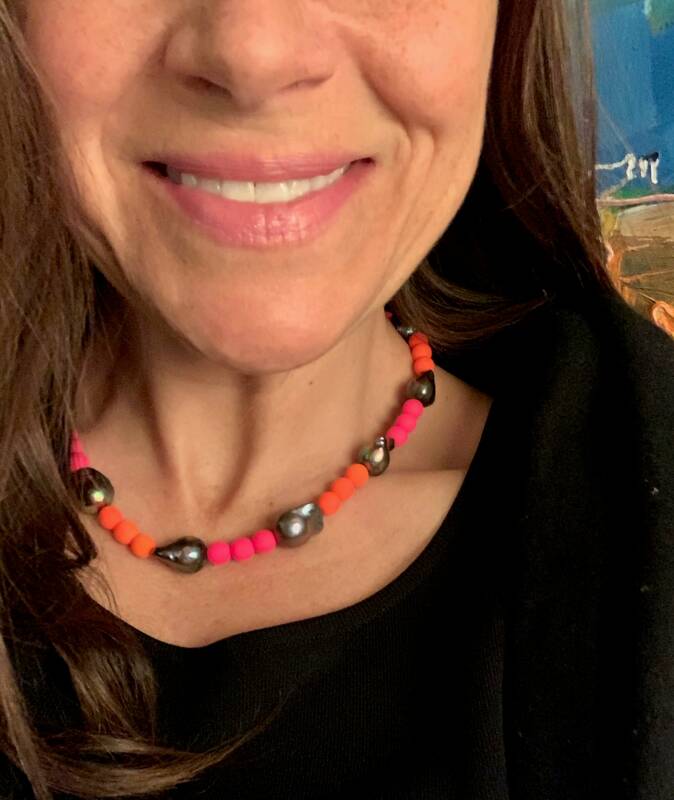 This necklace is one-of-a-kind, made with particularly large and fabulous freshwater baroque pearls, which have been dyed peacock (black with hints of pink and gold). This manages the kitsch of the neon orange pink, and makes it fun and trendy, but still sophisticated. The beads are pressed Czech glass, and the clasp and components are sterling silver. 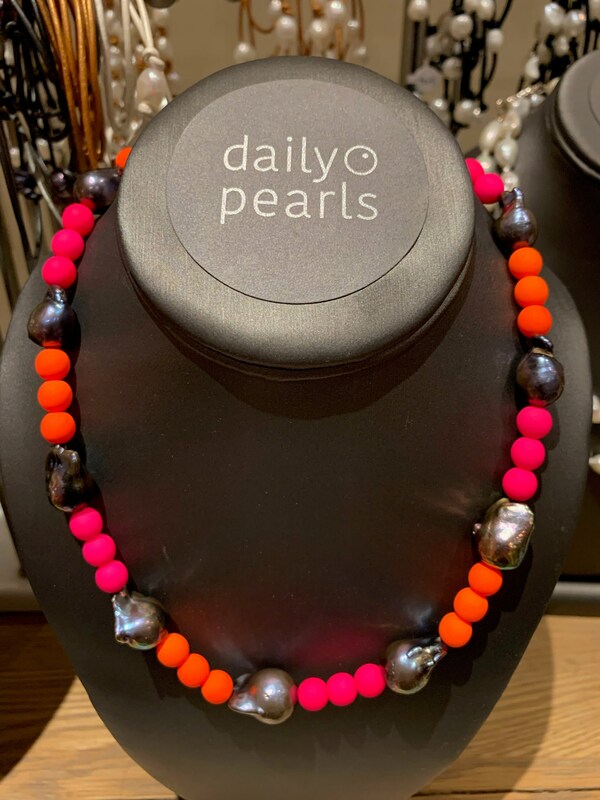 The bracelet features a sterling silver Daily Pearls dangle, and if requested will come with a gift bag and tissue paper.